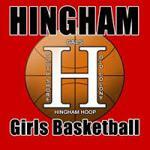 Hingham Girls Basketball Association (HGBA) is the organization that operates both the in-town intramural league (GALs) and the Hingham Travel Basketball Program. The programs are designed for pre-high school and elementary school girls. Stay up to date on what's happening in Hingham sports and receive regular emails from Hingham Sports Partnership.